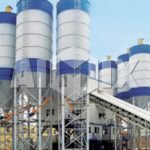 Commercial concrete batching plant for sale mainly consists of mixing system, aggregate supply system, aggregate storage system, metering system, control system and peripheral components. And it is characteristic of high efficiency, high mixing quality, great reliability and environmental protection performance. 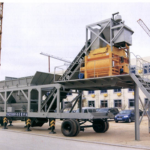 And mobile concrete plant is also a good choice for most project. 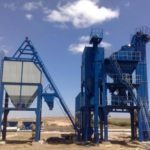 How to purchase the right commercial concrete batching plants? 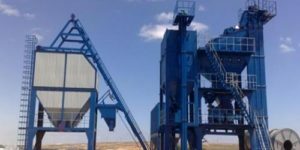 If you want to purchase the right concrete batching plant, there are some factors you need to take into consideration. 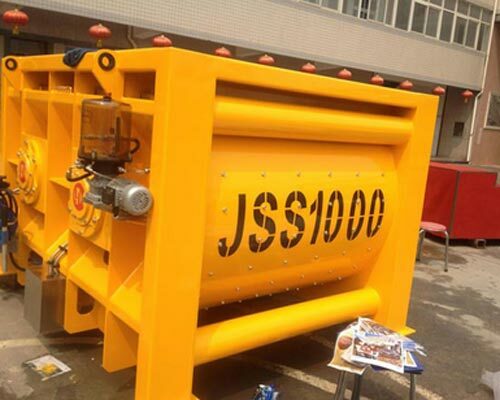 First, you need to know the concrete performance grade, which directly affects the choice of concrete mixer. For example, there must be s compulsory concrete mixer for water conservancy project. Besides, you can choose the proper concrete bathing station and storage bins according to the aggregate type. Secondly, concrete amount and working schedule are two important element when considering the size of concrete mixing plant. If the total concrete amount is W, the number of days for pouring concrete is T, working hour per day is H, coefficient is K (from 0.7 to 0.9), then the specifications of concrete batching plant is x =M/T*H*K. Meanwhile, the concrete transportation also need to be taken into consideration due to the transportation vehicles volume affects the choice of concrete mixing plant. Thirdly, the two elements of working environment and construction object must not be ignored. 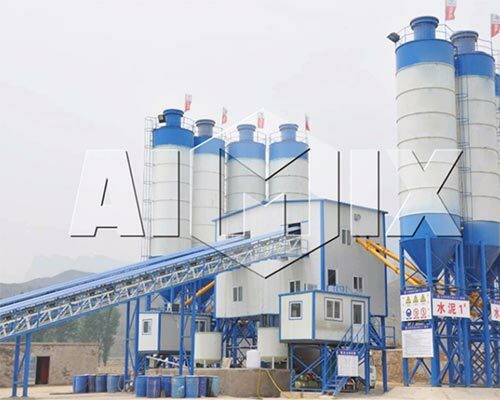 If the construction site wants large amount of concrete each time and quality components, two small concrete batching plant can be a good choice. Meanwhile, if the construction sites are dispersed but not far from each other (it only takes less than 30 minutes for concrete mixer truck from one site to another), you’d better choose the centralized concrete mixing plant. Fourthly, check if you have a quality operator. 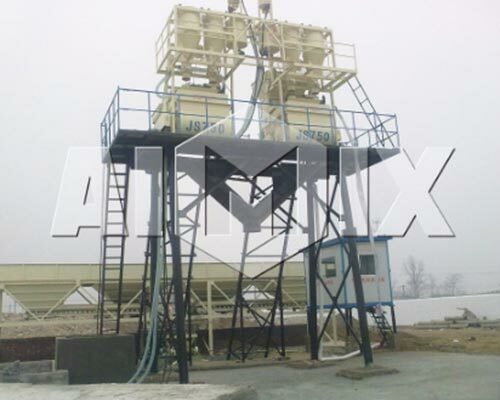 Generally, small concrete mixing plant has simple structure and simple system, there are little demands to operator. However, with complex structure and high automatic level, there are a great deal of large concrete mixing plant operator. 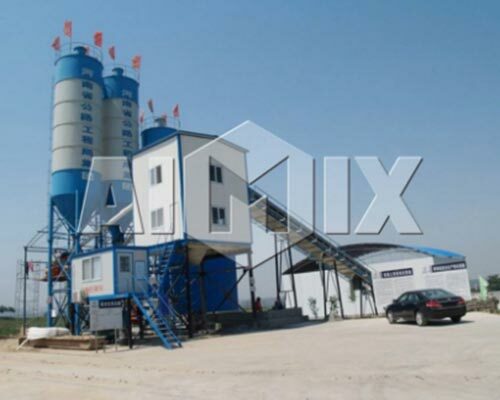 Therefore, don’t forget to take this factory into consideration when purchasing concrete mixing plant. 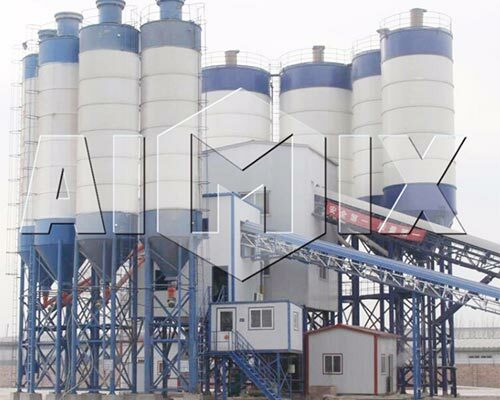 Why Aimix commercial concrete batching plants deserve your purchase? 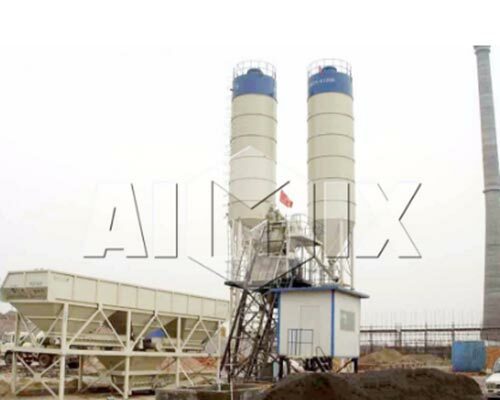 Aimix commercial concrete mixing plants are equipped with horizontal twin shaft concrete mixer, which has strong mixing ability, high mixing quality and high efficiency. 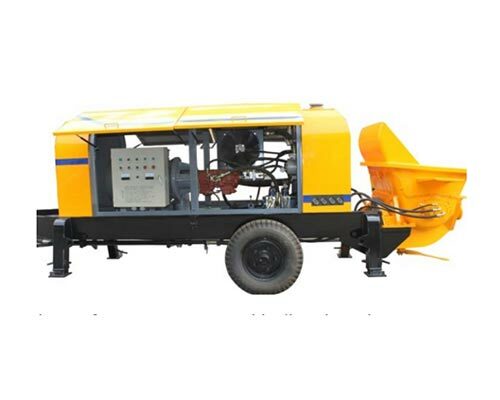 And the commercial concrete mixer is a quite good choice for dry hard concrete, semi dry concrete, plastic concrete and concrete with different proportions. Besides, the mixing shaft adopts anti adhesion technology, which can prevent concrete agglomeration on mixing shaft. Meanwhile, the shaft end adopts unique multiple sealing structure, which can prevent mortar leakage and ensure the lasting running of whole concrete mixing plant. In addition, all water outlets are above the mixing shaft, which can improve efficiency, increase water mist, reduce dust pollution and clean concrete agglomeration efficiently. As for the lubrication system and spindle driving system, they adopt advanced technology and the hydraulic opening mechanism can adapt the opening of discharging door. When it comes to the cleaning system, it is equipped with high pressure water pump and manual operation and automatic operation are both OK.
For powder materials, feeding, batching, metering and mixing are carried out in a closed state. 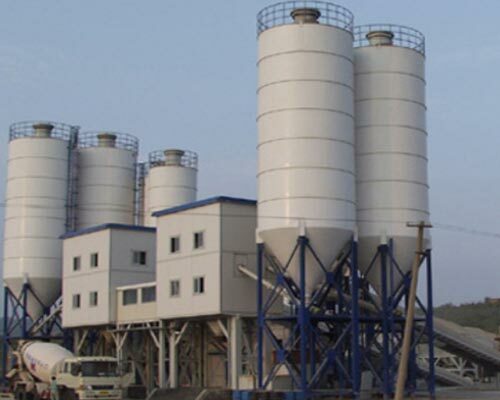 And the dust collecting pipe of concrete mixer cover, cement metering bin and fly ash metering bin are connected with dust reducer and aggregates inlet is equipped with a dust barrier plate, which can reduce the dust emission efficiently. Besides, the fully closed mixing system and belt conveying structure greatly reduce the dust and noise pollution to environment. Meanwhile, with negative pressure dust reduction technology and special fiber cloth, the dust generated by feeding material can enter dust reducer completely rather than spreading out and the collected dust can be reused conveniently, which plays a great role in protecting environment. The mixing blades adopts high chromium and high manganese alloy materials, and concrete mixer adopts multiple sealing method, which improves concrete mixer reliability greatly. Besides, there are resistant steel plate to reinforce the vulnerable part, such as discharging hopper, transition bucket. Meanwhile, the ring belt junction is connected by vulcanization bounding, which makes it a long service time. There are platform and ladder for the maintenance and repair part of the whole equipment, which makes it easy to check and repair the equipment. 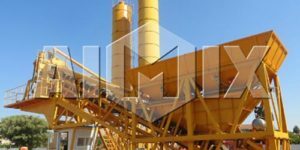 Besides, platform building structure and full closed aggregate conveyor structure ensures that all work can be carried out regardless of the weather. Meanwhile, there is a overflow outlet in the lower part of belt conveyor, which can prevent sand and gravel scattering everywhere efficiently. Electronic control system adopts double mode. Namely, the system consists of two high-performance industrial computer, one as the master production system and the other one as the management and supervision system, which consists of professional batching control meters. As the master control system, manual operation and automatic operation are both OK. With external sampling, calculation, comparison, processing and output, industrial computer can control the external drive components. And the management and supervision computer can be the standby computer if there is something wrong with the master control computer. Besides, the system can do report printing, online detection and supervision. Meanwhile, it is equipped with fault diagnosis system, which can help user to repair the equipment. It uses the H type steel as the main beam, which is characteristic of stable and reliable structure, and strong anti-vibration ability. And the cable and gas pipelines of concrete mixing plant are arranged in professional wiring grooves, which is not only clean and beautiful but also quite helpful to protect cable and gas pipeline. Besides, the outside of main mixing building is made of compression type colorful steel plate, which makes plant simple. Meanwhile, the heat insulation layer can be added if necessary, which ensures the normal working in cold days. 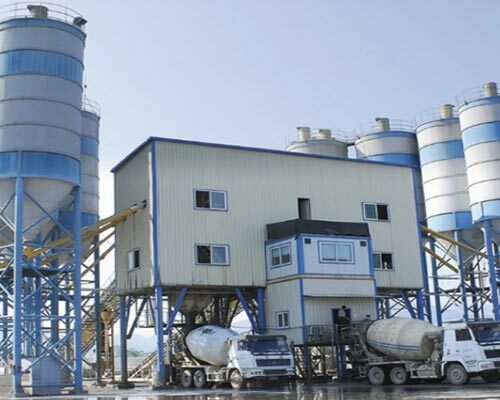 What commercial concrete mixing plant consist of? 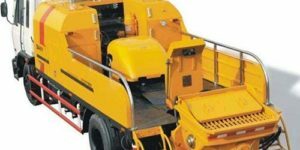 Concrete mixer can be divided into compulsory concrete mixer and self-falling concrete mixer according to the mixing principle. 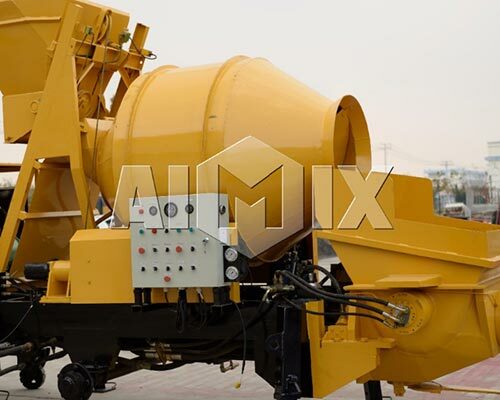 Self-falling concrete mixer is mainly used to mix solid concrete mixer, which is rarely used in concrete batching plant. Instead, compulsory concrete mixer is popular equipment of concrete mixing plant at home and abroad., which is a quite good choice for solid concrete, semi dry concrete, dry hard concrete and other concrete. And compulsory concrete mixer can be divided into planetary concrete mixer, horizontal single shaft concrete mixer and horizontal twin shaft concrete mixer. Among them, horizontal twin shaft concrete mixer has the best working performance. 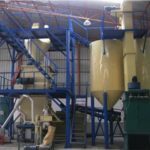 So take the concrete mixer type into consideration when purchasing a commercial concrete mixing plant. Mainly, aggregate supply system consists of aggregate storage barrel, aggregate metering hopper, and aggregate conveying system. There are two ways to convey aggregate, hopper conveyor and belt conveyor. Hopper conveyor is characteristic of small ground occupation and simple structure. And belt conveyor has the advantages of long transport distance, high efficiency, and low failure rate. Mainly, belt conveyor is used in concrete mixing plant with aggregate storage barrel, which can improve the whole efficiency of concrete batching plant. 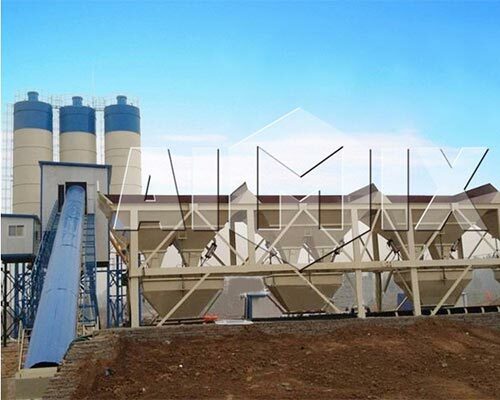 Powder materials mainly used in concrete mixing plant include cement, fly ash, mineral powder, and they are often transported through screw conveyor, which has the advantages of simple structure, low investment and great reliability. While liquid materials means water and liquid additives, which is transported by water pump. Metering system is the key component of concrete batching plant, which affects the concrete quality and concrete production cost directly. Metering system mainly consists of aggregate weighing system, powder material weighing system, liquid material weighing system. Generally, if the production of concrete mixing plant is below 20 cubic meters per hour, the concrete batching plant will adopt superposition weighing method. Namely, all aggregates use a metering system, all power materials use a metering system, and all liquid materials use a metering system, then mix all the materials. While, if production of concrete batching plant is over 50 cubic meters per hour, it will adopt independent weighing method, which is controlled by electric scale and microcomputer. With this weighing method, aggregate weighing error can be less than two percent, and cement, power materials, water and liquid additives weighing error can be less than one percent. Control system is the core of whole concrete mixing plant. 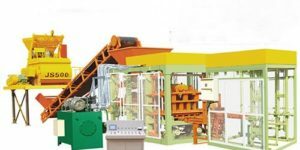 Control system can have different functions and different configuration s according to the size of concrete batching plant and customer’s demands. 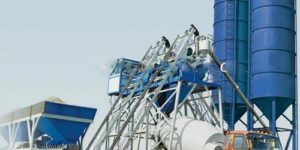 Generally, control system of small concrete mixing plant is very simple, while that of large concrete batching plant is little complex. As for the peripheral components for commercial concrete mixing plant, there are water lines system, gas lines system and bins. 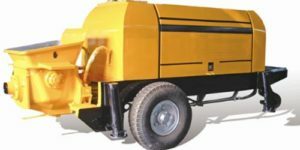 Besides, wheel loader, concrete transit mixer and concrete mixer pump are auxiliary equipment, which is very helpful for the construction work. 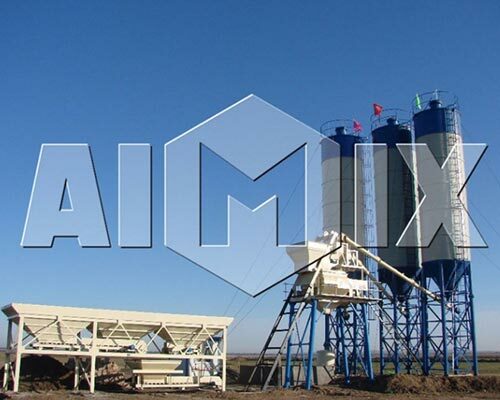 There are various quality construction machinery in Aimix, such as concrete mixer, concrete mixing plant, cement silo, batching conveyor, concrete mixer truck, asphalt mixing plant, concrete mixer pump and so on. If you want to customized product, it is OK for Aimix. Customer’s satisfaction is our eternal pursue, and Aimix will never let you down. Contact us to get commercial concrete batching plant price list. Want more information or the best price? Contact us now.